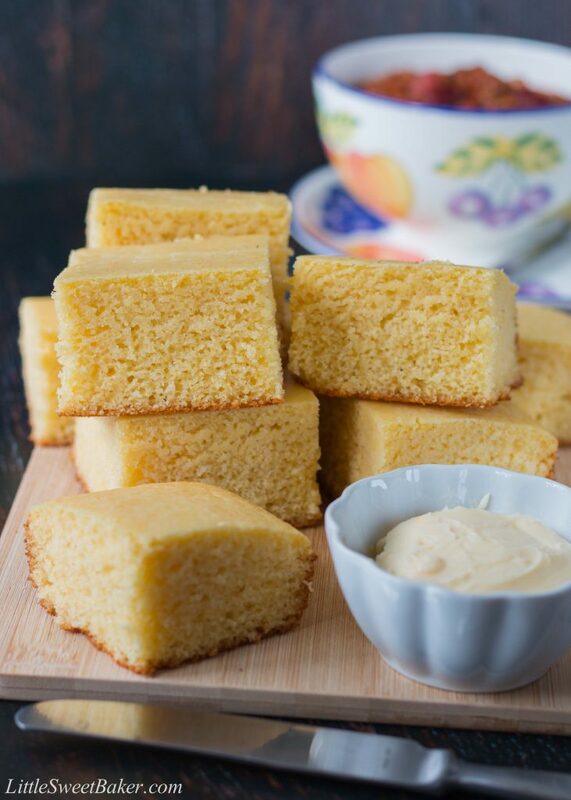 This moist, fluffy and tender cornbread is a perfect addition to any meal. 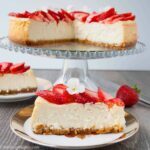 This quick and easy recipe can be prepared, baked and ready to serve in under 30 minutes. Are you guys all getting ready for a big Super Bowl party next Sunday? We are here at the Ernst house. I’ll be honest though, I’m not a football fan. I’m more in it for the party and the halftime show. That’s how it usually is at our annual Super Bowl parties. The guys scream and yell at the television, the ladies chat around the kitchen island until it’s time for the halftime show, and we all eat lots of chili. And what goes best with chili? Cornbread!!! Well it’s my favorite – that and buttery biscuits (next week’s recipe). 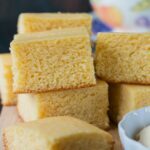 To make this cornbread recipe, you simply start with tossing some flour, cornmeal, sugar, baking powder and salt in a large bowl. Then you add in some oil, an egg and of course, buttermilk. 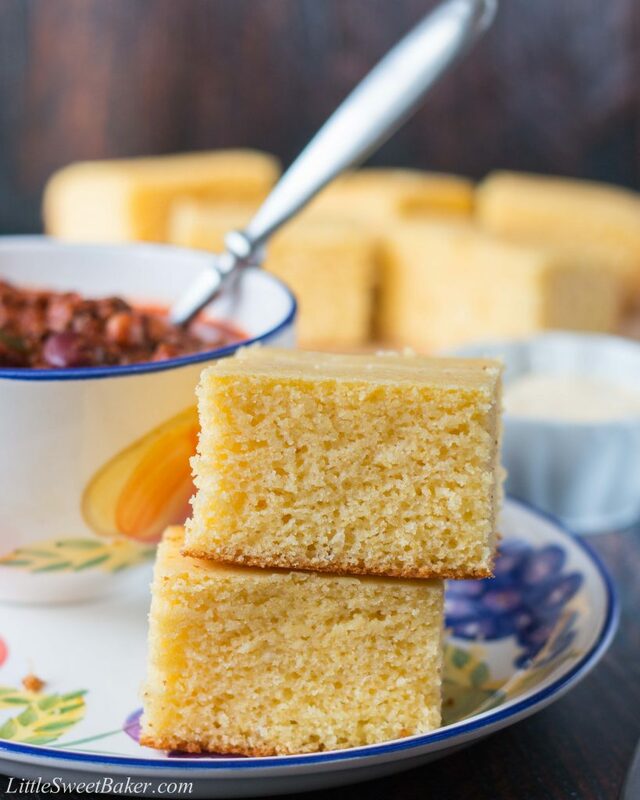 Whisk it all together, bake, and in less than half an hour you have freshly baked cornbread. 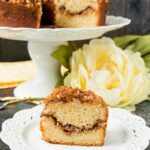 This cornbread is soft, but not too soft like a cake because of its 1:1 ratio of flour and cornmeal. The crumbs are moist and tender. 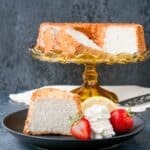 The texture is nice and fluffy. The taste is sweet and a little bit savory with a lovely rich corn flavor. 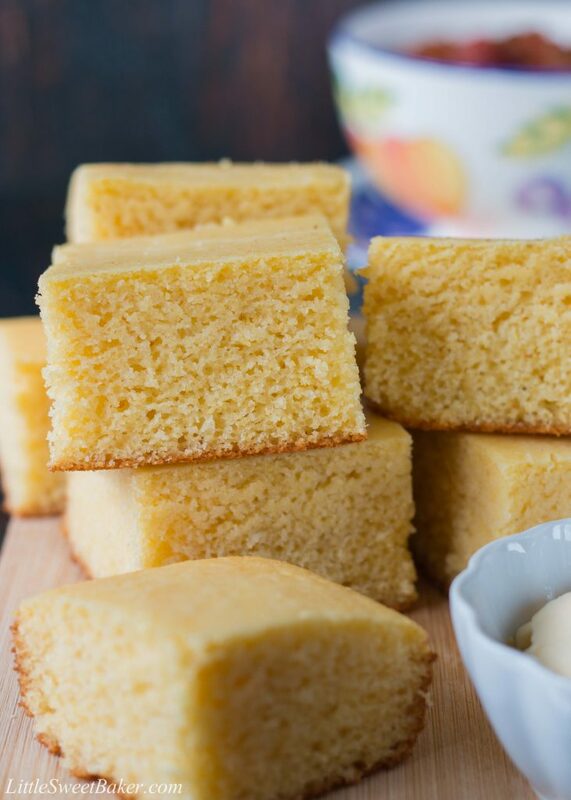 This moist, fluffy and tender cornbread is a perfect addition to any meal. Preheat oven to 400F and grease an 8×8″ pan. In a large bowl, toss together the cornmeal, flour, sugar, baking powder and salt. Add the oil, egg and buttermilk. Whisk all together. Pour into prepared pan. Bake for 20-22 minutes or until a toothpick inserted into the center comes out clean. This recipe can be doubled for a 9×13″ pan. Bake at 375F for 30-35 minutes. Recipe adapted from Red Apron Girl.